Through drawings, collages, installations and sculptures, Rodrigo Arteaga wonders about the knowledge process, and extends his reflection to the interactions between distinct disciplines by cultivating a new approach to human awareness and understanding of the environment. 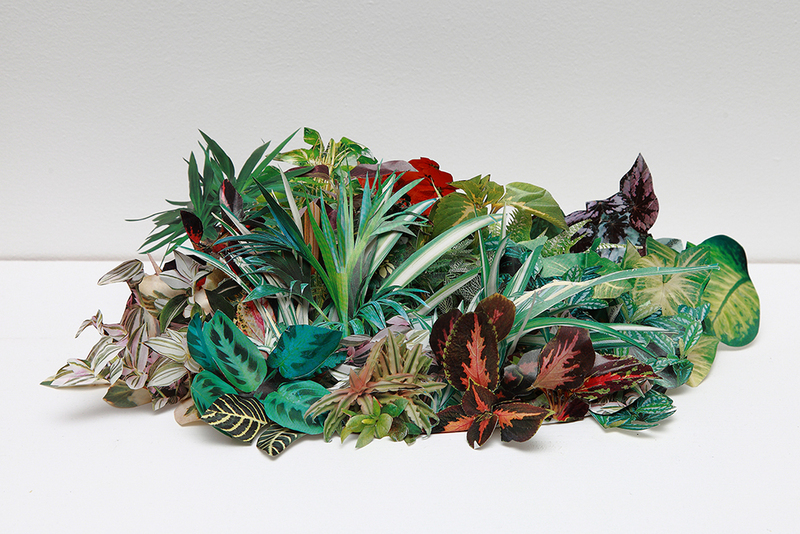 The artist cut out the illustrations of plants in botanical books and combine them into an arrangement to create an hybrid plant, which is the product of his imagination. 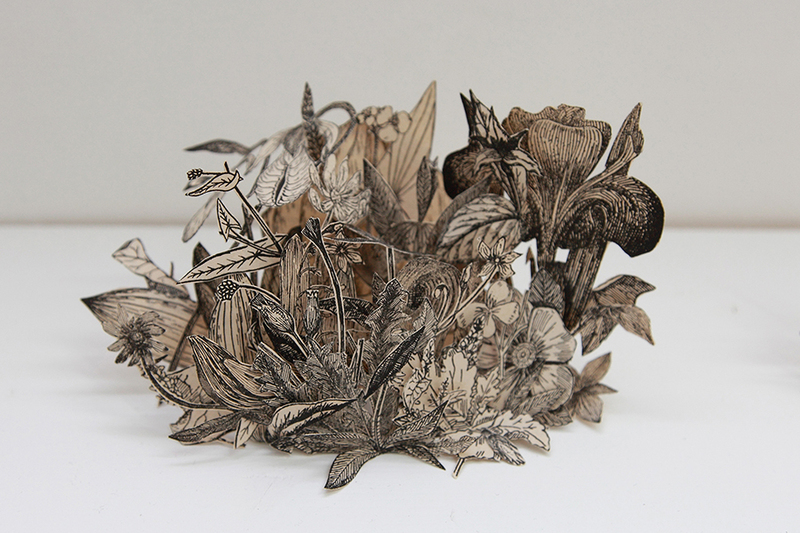 Starting from the flatness of the paper, his process imimates the natural organic growth to create three-dimensional sculptures. 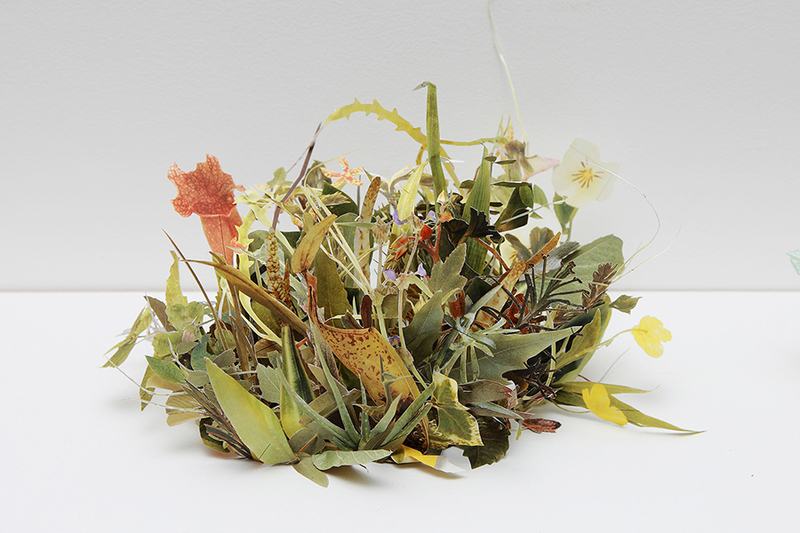 Each sculpture of Rodrigo Arteaga’s Herbarium is an ephemeral poetry.